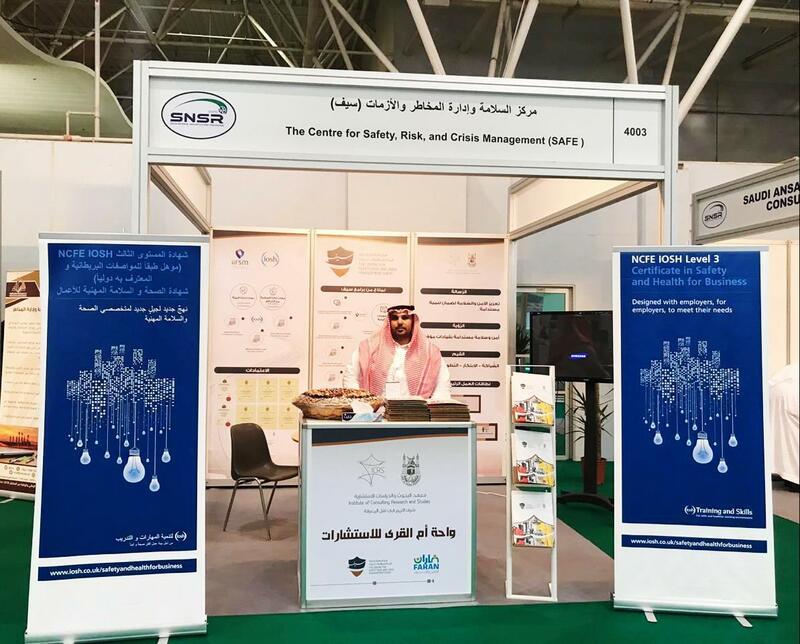 Seif Center for Safety, Risk and Crisis Management participates in the Saudi International Exhibition for National Security and Protection against Risks, which will be held in Riyadh from 24 to 26 Safar, 1440 A.H., corresponding to 4 to 6 November, 2018 C.E. 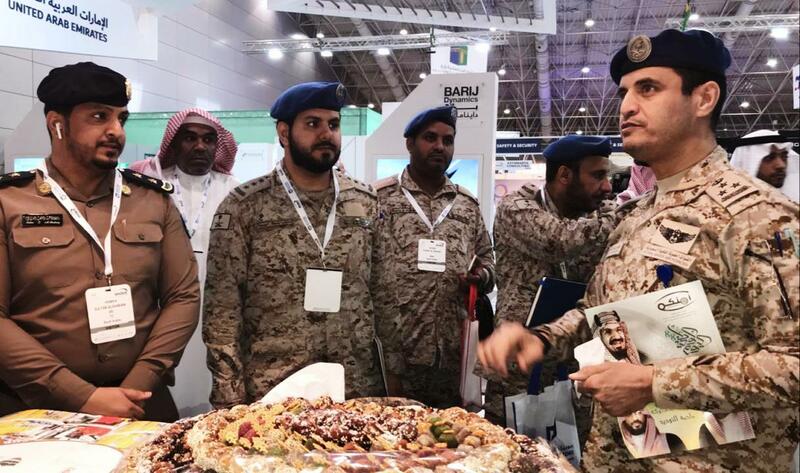 It will be held with the honorable patronage of his royal highness prince Abdulaziz bin Saud bin Naif bin Abdulaziz Al Saud, the Minister of Interior. The exhibition aims at facilitating communication among prominent local manufacturers, their international counterparts, and the Saudi government in the field of national security and protection against risks, under the emblem, 'Forming the Future of National Security and Protection against Risks'. 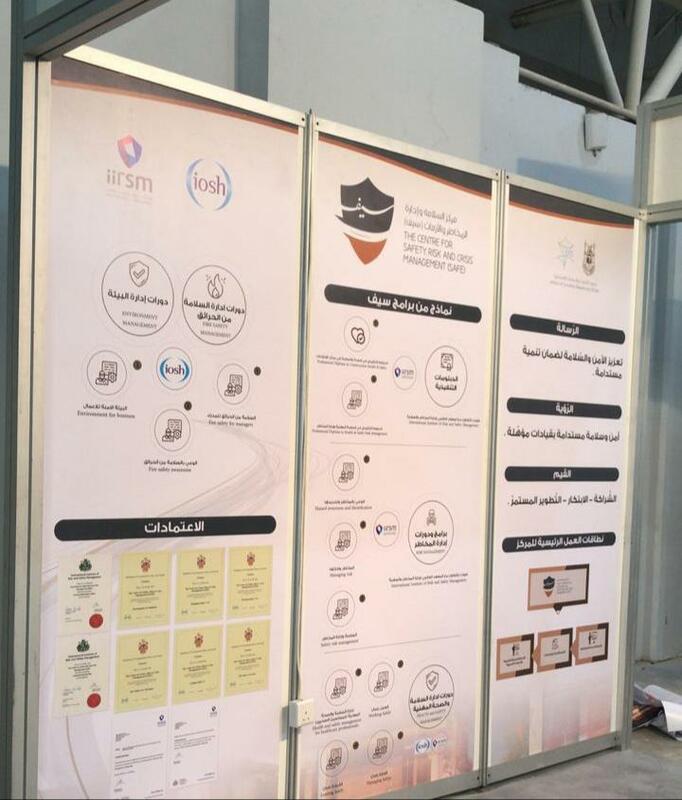 Seif Center is one of the main pillars of Umm Al-Qura Oasis for Consultations, which is the cognitive and technical hand of Umm Al-Qura University. The Center aims at offering consultation and rehabilitation services according to a developed work method in teaching and training. It also aims at investing in modern technologies, especially information technology and communication, to develop solutions that meet the requirements of the local environment. For his part, the Dean of the Institute of Research and Consultation Studies, Dr. Ali bin Muhammad Al-Sha'ir, pointed out that Seif Center performs its role perfectly by providing specialized experts who offer consultation and training in the field of security, in manufacturing and construction projects, public projects, industrial safety, planning and dealing with risks, calamities and crises. 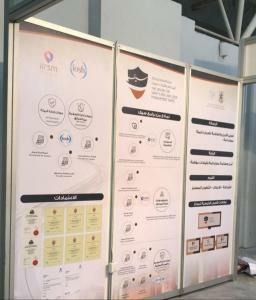 The center prepares and presents a group of programs and courses, such as specialized programs, to develop and improve the efficiency of security systems and to carry out quality standards, consultation and training services in the international standards of planning and developing security policies and professional safety. Vice-Dean of the Institute of Research and Consultation Studies, Dr. Yusuf bin Ayd Al-Utaiby, stated that the center is concerned with offering a group of specialized services. It seeks to provide national and international experts to endorse the college efforts of establishing specialized consultation and research security risk management. The center also offers a group of training programs approved by IOSH and IIRSM, such as safe management program, fire safety awareness, professional health and safety management, etc. It also offers a group of executive professional diplomas, such as health and safety diploma in the construction field, and professional safety and risk management diploma. Seif Center Manager Dr. Imad Al-Jahdaly pointed out that the importance of the participation of the center in this exhibition lies in its being the first center that follows the guidelines of an official deeply-rooted educational committee, specialized in this regard. He added that partnership with international specialized authorities in the field of security risk management is one of the strategic possibilities that the center endeavors to achieve through its current and future projects. Dr. Ali Al-Sha`iry appreciated the care and support his Excellency the President of the University, Prof. Abdullah bin Omar Bafail, gives towards the initiatives and activities of the Institute in producing, conveying and establishing knowledge and technologies to participate in the transformation towards Excellency Programs in order to build and develop a leading university of international standards.